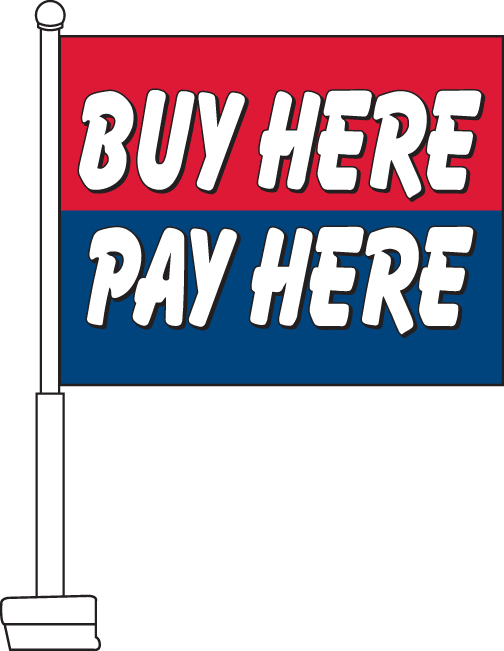 Our Buy Here Pay Here Car Flags feature an upper red field with bold white text outlined in black reading "Buy Here." 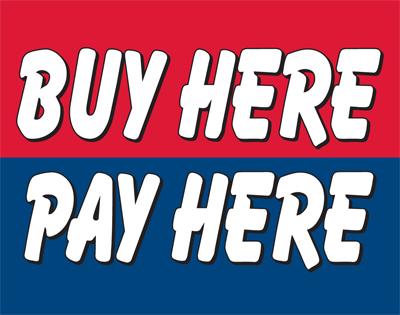 The lower portion of the flag is comprised of a blue field with white text outlined in black that reads "Pay Here." 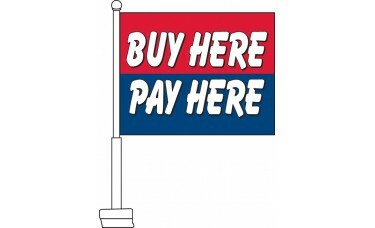 This flag is a great way for used car dealerships who offer "Buy Here Pay Here" to attract new customers.